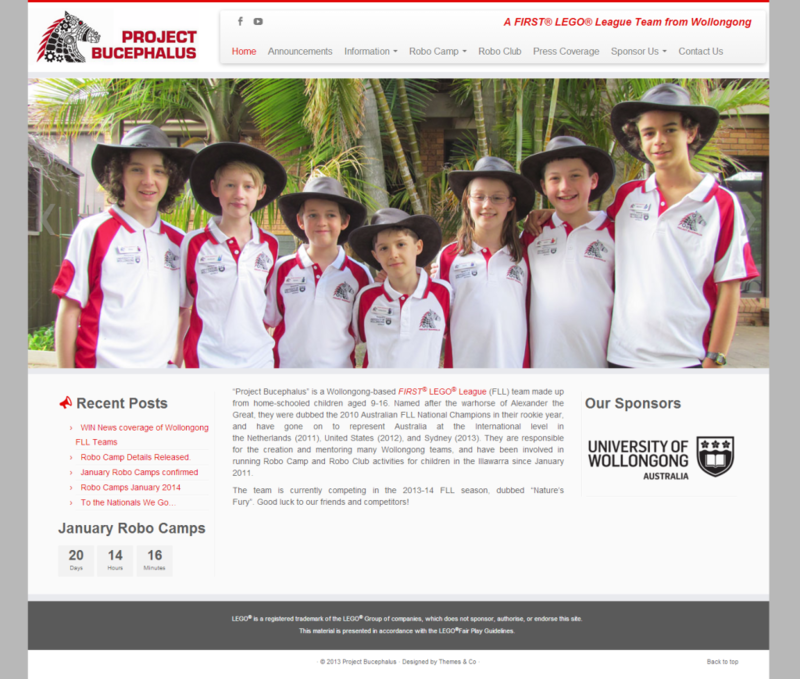 Project Bucephalus, a Wollongong-based FIRST® LEGO® League (FLL) team, recently had a brand new website created for their team by Audio, Visual & Computing Technologies. With a WordPress back-end allowing for end user management, Project Bucephalus can take control of their website. Countdowns, image sliders, blog feeds and much, much more. Check out their new website at www.projectb.net.au.